Hello, this is Jean Caragher, President of Capstone Marketing. I am happy to be talking today with Jessica Leigh Levin, the President and Chief Connector of Seven Degrees Communications and the Association for Accounting Marketing’s (AAM) Volunteer of the Year. 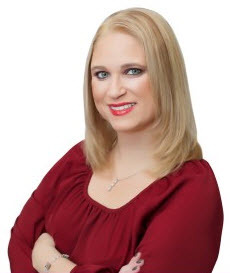 Jessica is a professional speaker, facilitator and author with a passion for connecting people in real life through events and technology. She is the author of the recently published Perfect Pairings: The Art of Connecting People. Jessica joined AAM in 2003 and recently served as the Marketing Chair for the 2015 AAM Summit. She also serves on AAM’s Website Task Force and is a podcast host. Congratulations, Jessica, and welcome to the Capstone Conversation. Jean: Jessica, you’ve been in this industry for a while now. As I mentioned, you joined AAM in 2003. Over these years, what have you found to be the greatest challenge in marketing CPA firms? Jessica: The greatest challenge is being a non-CPA in a sea of CPAs, and having a very different skill set from everybody else in an organization. In most companies, people have varying skill sets but it tends to be very homogenous in a CPA firm. Then, you come along as a marketing person and, a lot of times, they just don’t know what to do with you because you speak a very different language. Jean: Marketers continue to be hired in firms because partners feel they need a marketing person but in some cases, or perhaps many cases, not enough thought is being given ahead of time to the type of marketer they need. Would you agree with that? Jessica: Yes, and not only that. A lot of people think they should start small. They end up hiring somebody with less experience, which means a lower salary, of course, and that person just doesn’t have the background to create strategies. A lot of times they may not have the experience and the maturity to really be able to stand out to the partners. It’s really important that you come in as a professional and own your profession as a marketer, so that you can in some cases go head-to-head with management. Jean: It takes some bravery to do that. Jessica: It does, it does. Jean: How do you feel firms can overcome that challenge? Are you saying that firms shouldn’t hire less experienced marketing people? Jessica: I think it’s okay to hire less experienced marketing people, but I think you need to have somebody with experience leading the charge. Everybody needs to start somewhere and usually those people end up in support roles. You either need to have somebody who is a consultant who can lead that. I work with some clients now where they do have less experienced marketing people on staff, but they have brought me in to bring some of that expertise and that works as well. When you simply bring in somebody who just doesn’t have the experience, they tend to fail because it is a challenging environment even for the most experienced marketers. What happens is they fail and then the firms say, “Well, we don’t need marketing. We tried it. It didn’t work,” and they don’t try it again. Jean: Right, that’s been happening for decades. I’d like to think they were doing a better job of it, but I agree that it’s still a challenge for many firms to figure that out. Jessica: I think we’ve come a long way. Jean: We definitely have. I agree with that. So what are the biggest changes that you’ve noticed in accounting marketing over the past five years? Jessica: One, I think there is more of an acceptance of marketing, and it has do with really, really strong marketers in our industry who are able to demonstrate results. Kudos to AAM for showing firms that having a true professional marketer can really make a difference. The other thing, we’re still really trying to figure this out, is that balance between marketing and business development. I’ve seen this go back and forth a couple of years ago. I know a lot of firms who are firing their marketing people and just bringing in business development people. I have also seen a lot of those business development people fail because they didn’t have a marketing support. I think we’re getting closer to changing that. Jean: Let me interrupt you for a second, because I’m interested in your definition of marketing versus business development, because we know that they are two different things. Jessica: They are and, unfortunately, we let semantics get in the way. Everything is business growth. Everything truly is business development. We’re all working towards the same goal of growing the client base, whether it’s new clients or existing clients. We started using this term business development because nobody wants to use the word sales. Sales is a four-letter word, but really what we’re talking about is the difference between marketing and sales. Jean: The way I always described it to clients is that marketing is everything you’re doing until you’re face-to-face with that prospect and then you’re selling. Jessica: Yes, I believe and think in some cases you can be face-to-face with a prospect and still be marketing. Tradeshows, for example, is kind of a hybrid where that might not be a direct sell, but you’re getting a chance to talk to somebody about the firm’s capabilities. I think it’s a gradual progression. Jean: So, I interrupted you. You were talking about the change related to marketing and business development for CPA firms. Jessica: I think we’re getting a lot closer to firms realizing that there is a need for both, and that the two work hand-in-hand. Another thing I’ve seen happen is silos. Business development is hired and they’re not coordinated with marketing. Marketing is doing one thing. Business development is doing another thing. The two aren’t talking to each other and it’s not good for anybody. Over time, I’ve seen this evolution where firms are saying, “Okay, we need somebody to coordinate this,” and you pick the best person. You pick the most well-rounded, experienced person to lead the charge, and come up with that strategy of who’s doing what and how marketing is going to see it lead to sales. Jean: What size firms do you see that are employing both marketers and business developers? We know the challenge of getting firms to hire one person. So these firms that have a team, on average, what size firms do you see? Jessica: I’ve seen it at all levels because some of the smaller firms are saying, “Okay, we don’t need a marketing person but we’ll hire a business developer.” Definitely the bigger firms are doing both, and those mid-sized firms, as I said, over time I’m seeing it flip-flop between marketing, having a business developer or having both. It’s really across the board from what I’ve seen. Generally the smaller firms are going to have one or the other. As I said, it’s changed so much in the last couple of years and it hasn’t been consistent. I know AAM is launching this business development initiative, which I think is really going to help in terms of bridging the gap. Jean: I know that it was very well-received in Orlando. It’s a great effort they’re making there. I think Michael Bowlan is taking the charge on that. Jessica: I’ve worked with him a little bit on that and really trying to make sure that everybody is on the same page. If we as the marketers and the business developers can get on the same page that can help get the partners and firm management on the same page. Jean: Absolutely. What is your prediction for accounting marketing for the next five years? Jessica: I’m optimistic. I’m definitely optimistic after seeing what people were talking about at this last AAM conference. I feel like we’re turning it more into a profession, that we are getting more strategic. One of the trends in marketing in general is data and analytics and being able to measure things. In the past, it’s been very difficult to do that in general and I think we’re going to be able to do that, which means we’re going to be able to prove our worth a lot more. Jean: That could be a whole conversation, couldn’t it? Data and analytics and the difficulty of getting information out based upon what’s being put in, and the systems that are available and what firms are willing to invest in. It’s a big issue. Jessica: It is a big issue. The firms that are able to demonstrate this are going to help the other firms understand it and help them. We have an AAM marketing budget survey that’s solid data that firms can look at and say, “Okay, this is what firms are spending,” rather than coming up with an arbitrary number. I think tools like that, using data to make better decisions rather than guessing, rather than going on a hunch, rather than throwing spaghetti at the wall. Jean: And you’ll see more firms using CRM systems. Hopefully, one of these days, the time and billing vendors will get their act together and create programs to coordinate with that. You’re going to see firms using HubSpot, or Marketo, or different programs out there to give them that powerful information. Jessica: It’s funny you mentioned that because I’ve had this conversation with some of the, I’ll just say, big time billing companies years ago. It blows my mind why they could not get on board with a CRM because they would have owned the market. Jean: I just think they choose not to because firms purchase their products for the time and billing aspects of it and not for the marketing component of it. Jessica: I look at it as firm management, and there’s a big difference between time and billing marketing versus firm management. Jean: Call it what you want but that’s why the CPAs buy it. They’re not buying it so they can track their prospects better. Jean: What factors or skills do you feel enable accounting marketers to be successful? I know you know a lot of them. What qualities do they have? Jessica: It really depends on their role. As we’re more diverse, we can ask people who specialize in digital. We can ask people who specialize in public relations. There are different aspects, but I think the big thing that makes people successful is to be able to understand the mindset of the CPA. At one point, I actually considered getting my CPA license just for that credibility. Jean: Okay, I’m only laughing because that is so not the side of my brain. I give you credit for having that thought. It never entered my head. Jessica: It is not really my side of the brain either, but if you think about if you were looking at a prospect, what would you do? You would put yourself in their shoes, and you would look at their problems, and you would try to figure out how they would want to solve things. It’s the same thing. You, as the marketer, your prospects are your partners and you’re trying to sell to them. Putting yourself in their mindset even though you definitely want to come to it from a very different perspective, you want to at least understand their pain points so that you can communicate better with them. Jean: What made you decide not to pursue the CPA license? Jessica: There were just a lot of things going on, and my life shifted a little bit. Had I stayed in a role where I really was working with CPAs 24/7, there’s a good chance that I would have done that. Jean: Good for you. Which of your personal skills has contributed most to your success? Jessica: Relationship building. That’s the key to it, because if I don’t know the answer, I have built a network of people who do and I call on them every day. I think that stemmed from the early days of my involvement with AAM in building those relationships. When you’re stuck or when you just need to run an idea by somebody, you have that network to say, “What do you think about this?” or, “Hey, I need this done. Is this something that you could help me with?” We don’t have to do everything ourselves, and we certainly don’t have to do everything internally. It’s really about knowing who can help you get the job done. Jean: That’s encouraging our clients to do this as well, right? It’s walking the walk. Jessica: I’m a big believer in that. Jean: I had a conversation with a managing partner who I’ve known a long time and he mentioned to me that he felt marketers needed to gain more power within their firms. Do you agree with that? And, if you do, how can marketers gain more power? Jessica: The answer is yes, I believe it. The word power sometimes scares people. I believe that marketers should be viewed as a strategic part of management and not separate. I always go back to the story that Lori Colvin from Armanino told me when Andy Armanino hired her. She said to him, “I don’t know anything about being a CPA.” He said to her, “I have a room full of CPAs. I need somebody who knows marketing.” I believe they’re one of the most successful firms from a marketing perspective. That mindset of you should have influence because you’re bringing something to the table, and if you were in a different type of organization, a true corporation, you wouldn’t have everybody with the same skill set leading the organization. You would have varying disciplines. I’m not sure how we get to this evolution where in a CPA firm it’s just the people who are accountants that are in those management positions, those leadership positions. It really should be for any type of organization that you should have people coming from different perspectives in a leadership perspective. Jean: Now, we’ve seen some of our marketing colleagues earn the level of partner or principal within their firms. Michelle Golden, the Hall of Fame inductee this year, is part of her five-person leadership team. We’re seeing it happen, and we hope that we keep seeing more of it. Jessica: We are seeing it happen and I think it will happen. You have to, like we said, walk the talk and you have to be professional. You have to think about your job as if you are a partner, and act like a partner, spend money like it was your company. I think if you have that mindset and you can demonstrate that, that’s just going to make it easier for you to get into that leadership role. Jean: I agree completely with that. What is your best piece of advice for accounting marketers? Jessica: My best piece of advice? Listen, do your homework and come back with research and data to support your “arguments”. CPAs are data-driven. If you can show up, listening to what their needs are and coming up with the answers, and being able to back up your answers, that’s going to only help you in the long run. It takes more time to do that. It’s easier to just say, “I think we should do this.” It sounds like a good idea but if you’re able to really support yourself, you are going to go further. Jessica: Take a look at not only what your peers are doing within the accounting profession, but what other successful companies are doing and be open-minded to change. Jean: That’s a big one. Jessica: There’s a lot of lessons to be learned. We oftentimes look at our own profession, but there’s a lot of lessons to be learned from other companies that are not CPA firms. Jean: Absolutely. We’ve been talking today to Jessica Levin, the President and Chief Connector of Seven Degrees Communications and the Association for Accounting Marketing’s Volunteer of The Year. Jessica, congratulations again, and thank you for your time today.